My Creative Time: MCT "48 Hour FLASH Sale & Blog Hop!" Good morning & welcome to another "48 Hour Flash Sale!" This sale is for 48 hours ONLY that is going on right now & will end on Sunday, March 31, 2019 @ 7pm PST. Leave your comments for a chance to win a $25 Gift Card to the "My Creative Time" store! Don't forget to leave a way for us to contact you "just in case" YOU are the LUCKY winner! If you are interested in this new set, you can pick it up HERE! Don't forget to use the code FLASH at checkout to get your 20% off! GOOD MORNING Miss Emma...My Oh My What a Super Sweet, Cute Darling Stamps and Die set. Love the card you made is is as Precious as can be and definitely showcases how versatile your new Release is!! You so did a Super Incredible Creative job!! Wishing you a Fabulous Friday!! YOU so ROCK!! Good Friday afternoon Ms. Emma! I love your 48 hour flash sales! This release and your DT are outstanding! Love all the ideas and inspiration! Great new set - very versatile! I love the frame. And love your card, too. Love the bling on the leash; so fun! This looks fabulous. I like how versatile the frame is. What a great set and love your card. What a great......stamp and die set! Love it!! Cute card! Awesome stamp and die set! Love this card, Emma! Thanks for another fabulous set!!! I just love this stamp/die set, and the sentiments are perfect for so many occasions! 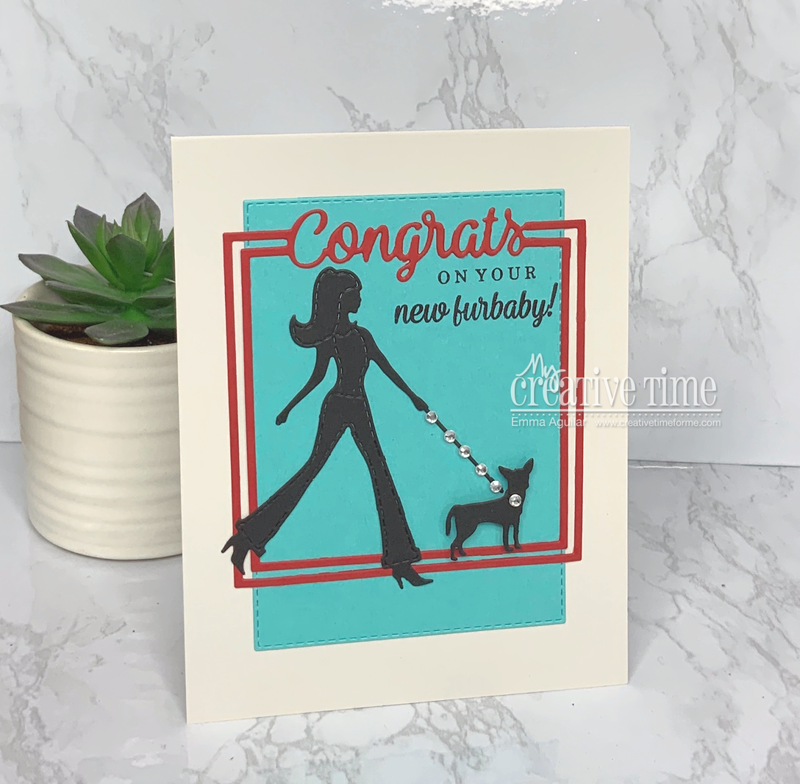 This card is so cute - that die goes perfectly with your older furbaby set! What a wonderful set and awesome blog hop, loved hopping along! That is an awesome set Emma! Love your card. A delightful set and card! Cute card. 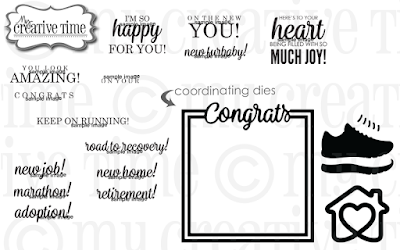 Love the Congrats frame die and the bling.